Author: Brophy, Beth Set In . . . Description: Journalist, wife, and mother of three, Claire Newman juggles work, soccer games, birthday parties, and errands. A successful writer at Nationweek, America's second largest newsweekly, she makes her living by being, as she says, "a relentless snoop," but she never was able to figure out why her best friend of twenty-three years, Lydia Finelli, dropped out of her life with no explanation. Claire hasn't seen Lydia in five years, and her unresolved hurt and anger still linger, brought to the surface by a chance encounter at the local bakery. When Lydia calls Claire and asks for her help, urging her to come discuss the situation in person, Claire figures it is one of "life's rare opportunities to tie up a loose end." But when Claire arrives at Lydia's house, she finds her ex-best friend dead. While all the obvious signs point to suicide, Claire can't shake the feeling there's something very wrong. The irrepressible, feisty Claire starts investigating, and soon the list of suspects includes Lydia's neurologist husband, her psychiatrist neighbor, and even her son's handsome soccer coach. As Claire uncovers the secrets of her friend's past, and their relationship, the puzzle becomes even more complicated, and she finds that she really didn't know Lydia very well at all. But knowledge comes with a price, and as Claire unravels the mystery of Lydia's death, she puts herself -- and the people she loves -- in harm's way. 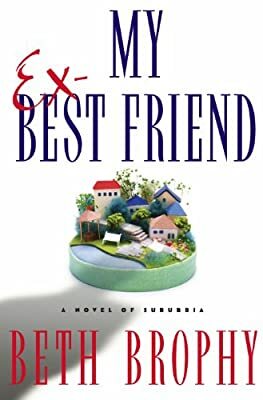 Smart and funny, with razor-sharp storytelling, My Ex-Best Friend is the debut of a fresh new voice in contemporary fiction.